The Stones Portfolio is a complete set of five lithographs, 1989, on wove paper, each a signed and dated, edition of 60. 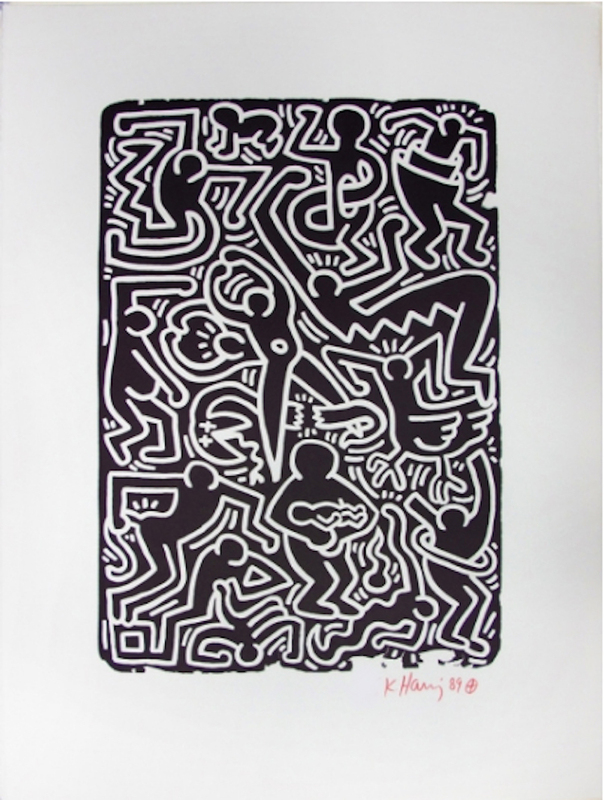 Abandoning conventions of Western pictorial language, Haring’s aggressively flat, lineament-al Stones (Portfolio) (1989) is unique for its use of negative space. 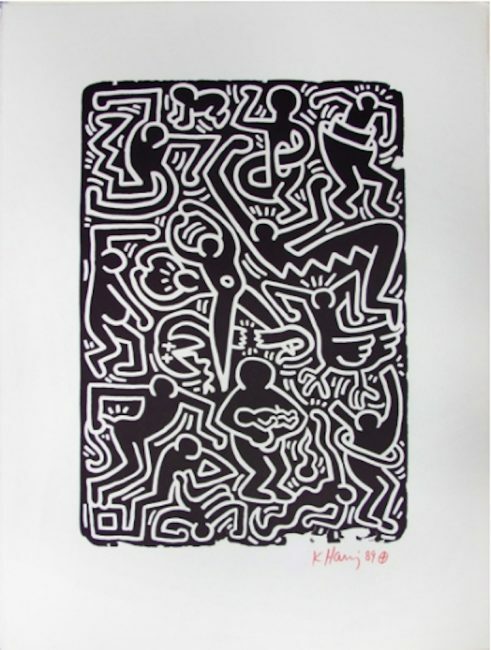 He has transformed it into contours, which is stylistically the closest to the pre-Columbian, Mesoamerican and Aboriginal art influences, marking his diversion from the widely-accepted Western visual vocabulary.